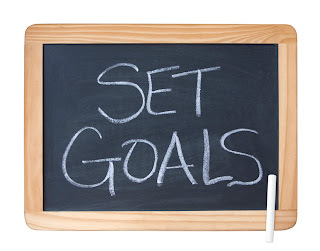 The best goals are realistic, yet challenging. When you reach a goal you’re proud of what you accomplished. To decide if a goal is realistic, answer these questions and use the information as a guide. How much did you sell in 2012? How much do you want to sell in 2013? Who were your customers in 2012? How much did they buy? How much do you project them to buy in 2013? What does the average customer buy in the first year? Based on past experience, how many prospects do you need to talk to in order to get a customer? That is how many people you need to load into the top of the funnel, qualify and convert.